There’s nothing that refreshes and rejuvenates the mind like an exciting new board game. Or perhaps even a sequel. 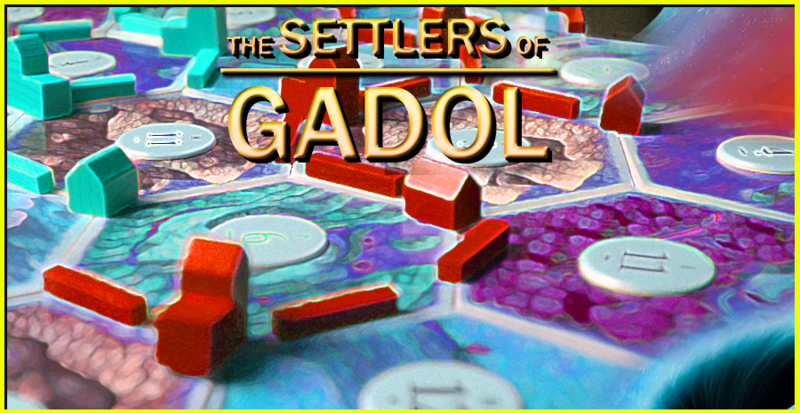 From the makers of Settlers of Catan comes Settlers of Gadol! An energized remake of the popular board game – and it’s bigger and better than ever! Excited settlers play on a hexagonal grid suspended in spacetime and surrounded by voids. Gadol keeps intact many of the same rules of its predecessor, such as no x-rays, no gamma rays, and no mind rays. However, the scene takes place on distributed game boards that span up to 0.5 parsecs wide and can sport up to 6 players battling head-on to claim victory! Nevertheless, the game digs down to its core roots of exploration and development. Players roll six 3-sided dice on each turn, to determine which hexes produce resources. They can then combine their resources to build houses, hotels, cities, and tubes. Special development cards can be purchased to speed up expansion. The first player to collect 10 particles is the winner, and gets teleported back to Earth. The other players are left to fend for themselves and find their own way to the nearest planet.